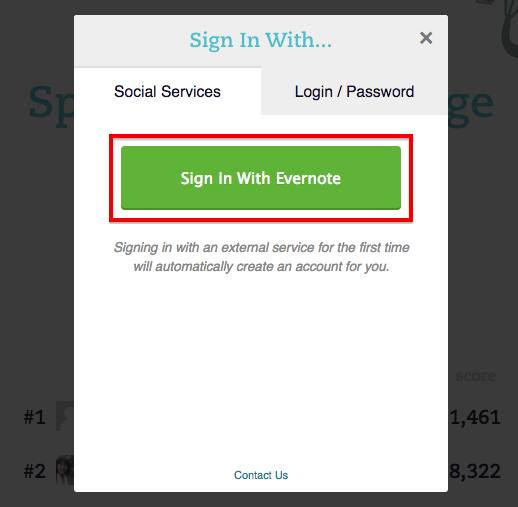 Click the button, and you'll get to Evernote sign in page. 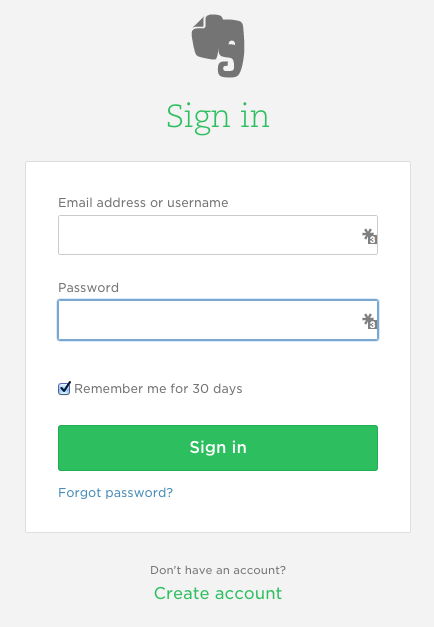 Input your Evernote username or email address, and password to sign in. 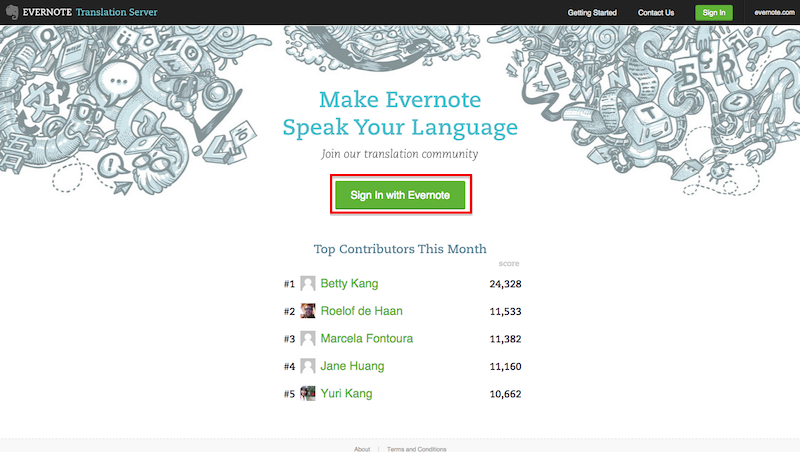 NOTE: Creating accounts in Evernote translation system is no longer available. 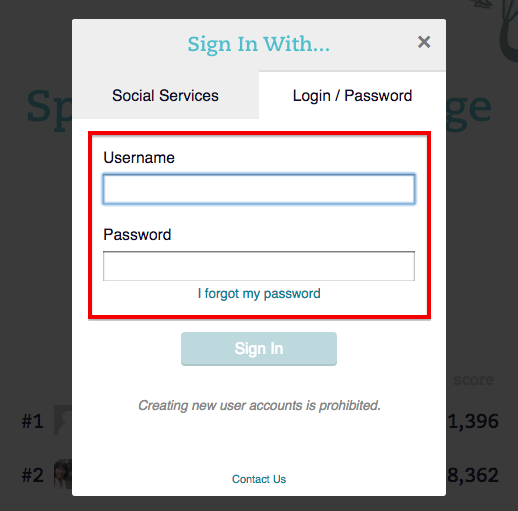 By default, we identify users by their Evernote accounts. Once signed in, you will be redirected to your language Browse which is used for browsing translation projects. Now you're almost ready for translation. Before getting into it, take a moment to fill your public translator's profile which is created at your first login. Filling your profile will help you to make translating Evernote an enjoyable social experience, get more followers on Twitter, and boost your resume on LinkedIn.